Saint Peters Bay to Morrell. 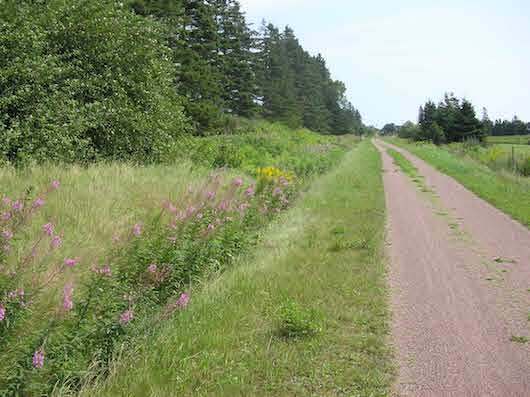 11.7 km of trail through beautiful farmland and coastal views in spots. Cardigan to Montague. Nice section of trail, for 10 km. Fairly easy. Hunter River Area. The area from Kensington to Hunter River, about 30 km, is fairly open and has some nice farmland sections. Note: Surface conditions vary — crushed stone in spots. Used exclusively for snowmobiles Dec.1-April 1.